Omiyage Blogs: Fun New Arrivals! 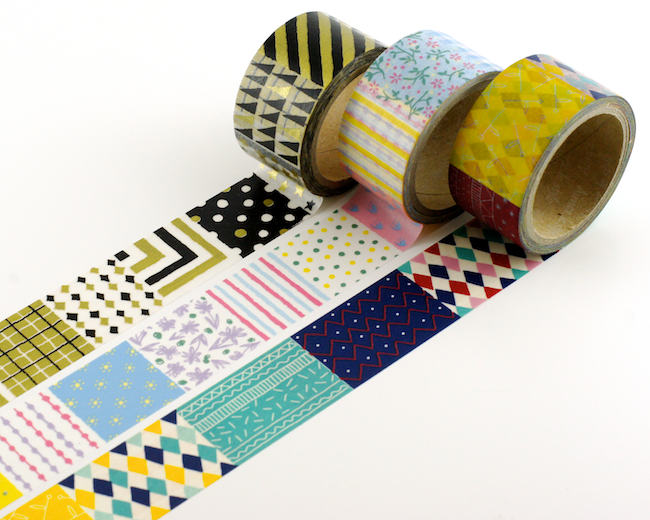 Popping in with a bit of tape-y eye candy! I do so love colourful solids all in a row. Listed a bunch of fun tapes in the shop last week. I had been holding onto them until the winter blahs hit. Consider me winter blah-ed! There's something so energizing about some bold (or soft) colour when the world is all white and grey. 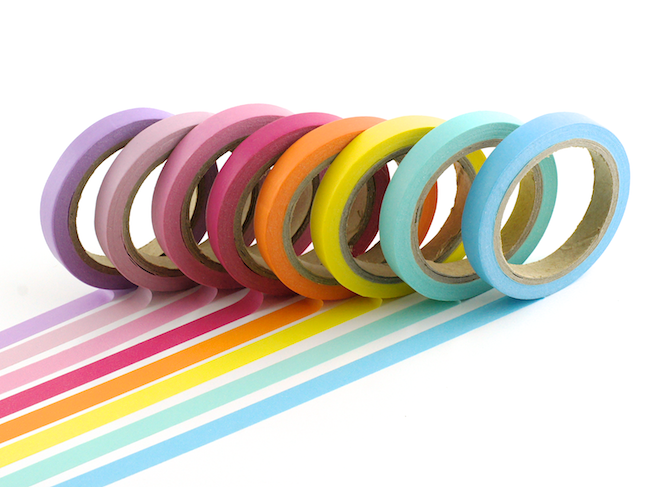 There is some stationery en route to the shop too... just waiting for the courier to stop by with a new camera! The thing I love about Aimez Le Style is their collaborations with illustrators. 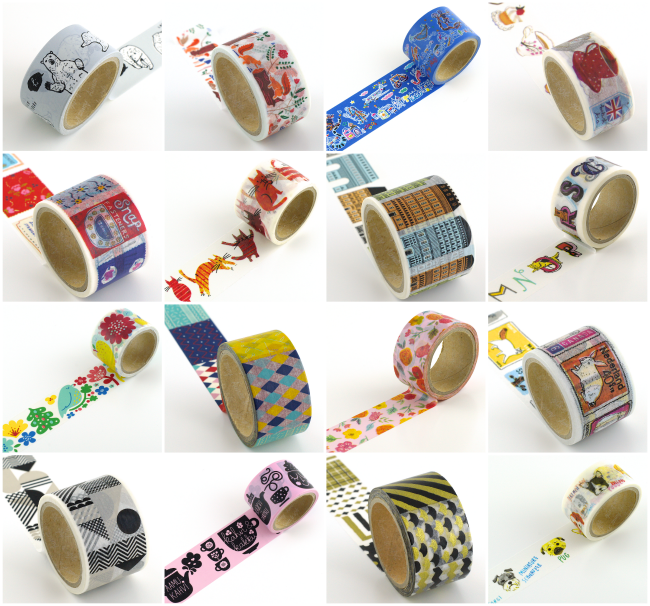 These unique illustrated tapes are dreamt up by artists and illustrators from all over the world. And they're just so fun to create with!